Magazines older than 6 months are kept in the closed stacks on the second floor. Most magazines are kept for 2 years. All of the back issues of the Hamilton-Wenham Chronicle are kept in this room. Print holdings extend from 1965 to the present (although we also have a copy of the first edition from 1949), with microfilm coverage for 1958 to the present. Please note that some issues are missing. Call 978-468-5577 or email slauderdale@hwlibrary.org ahead of time if there is a specific date that you are looking for. 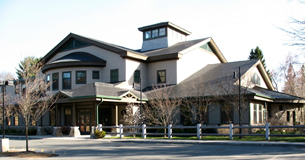 The Hamilton-Wenham Library carries 472 volumes of print periodicals, newspapers and other print serials. We carry 98 Adult periodicals, 16 Children’s periodicals and 11 Young Adult periodicals. For information about titles and access, please click below.